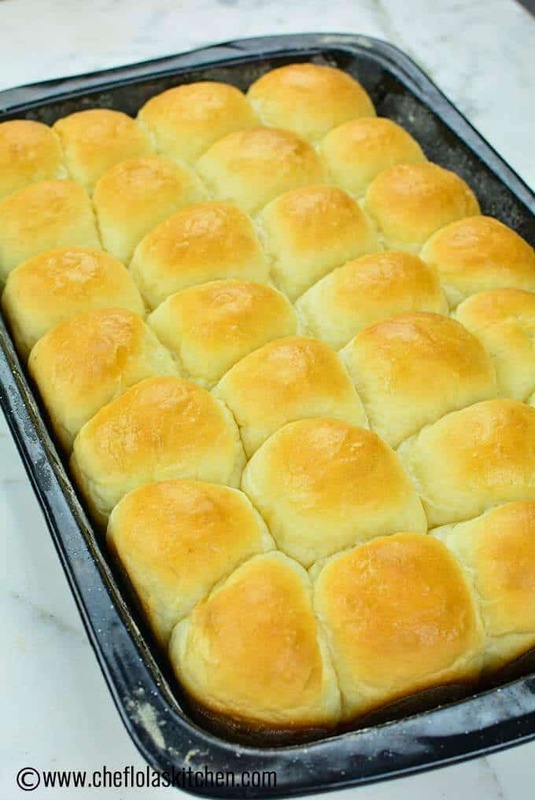 No knead Bread Rolls: Nothing whets the appetite like the enticing smell of a Yeast Bread baking in the Oven. It also delivers a quintessential home-baking experience. 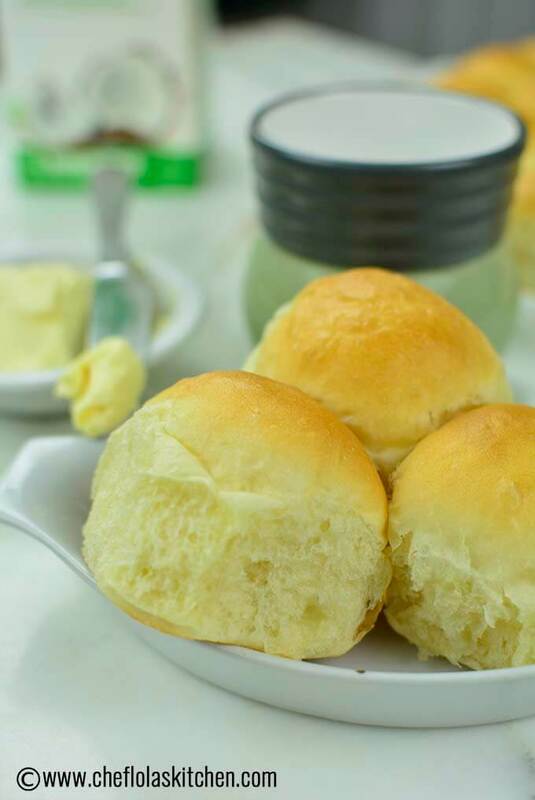 These no-knead bread rolls require no kneading, no special equipment all you have to do is just stir the ingredients together, let it sit for some time, and then bake it!. It’s truly a no-fuss recipe. The truth is, the whole process of making bread gives me joy, I love getting my hands floury and sticky and being rewarded with a deep satisfaction of serving my family and friends with a piping hot bread. This no-knead bread recipe is a gentle introduction to bread making for beginners. 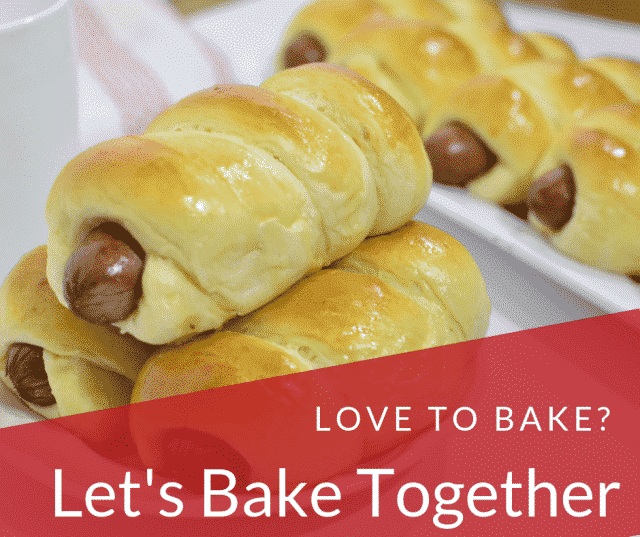 It will make you have a gentle entrance into the world of baking and before you know it, you will start making bread loaves, pizza and more. No-knead bread is not a rocket science. Creating a wet, loose dough is the basis for this no-knead bread rolls, in that way, the gluten becomes mobile and naturally align themselves – another science :). You cannot knead this wet dough, even if you try you will end up creating a mess. Wet dough creates a tender and moist bread. Most of the protein in wheat is gluten and this gluten is what allows the dough trap the carbon dioxide produced by the yeast. In other words, it is the gluten that enables the dough to rise. Without this gluten, the dough will not rise. 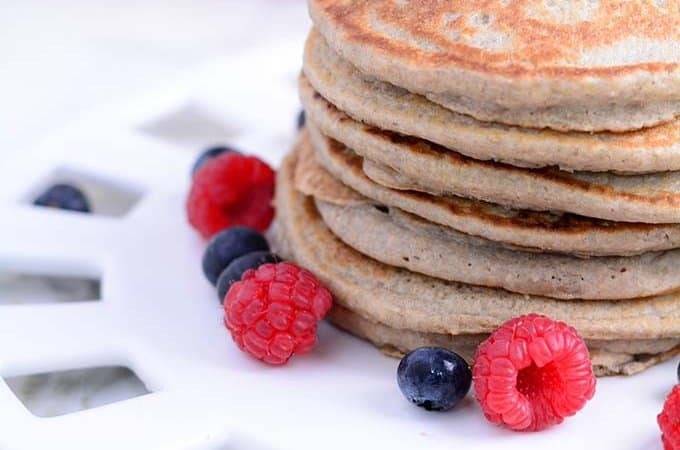 Of course, cake flour and self-rising flour has nothing to do with this list because it is too low in protein. Stay away from cake flour in Breadmaking! The explanation above shows the reason why I always use Bread flour for all my bread recipes. This is not to say that all-purpose flour will not work, but it is clear that the bread flour will yield a better result. I use unbleached bread flour to be precise just to avoid any of the chemicals that come with the bleached flour. 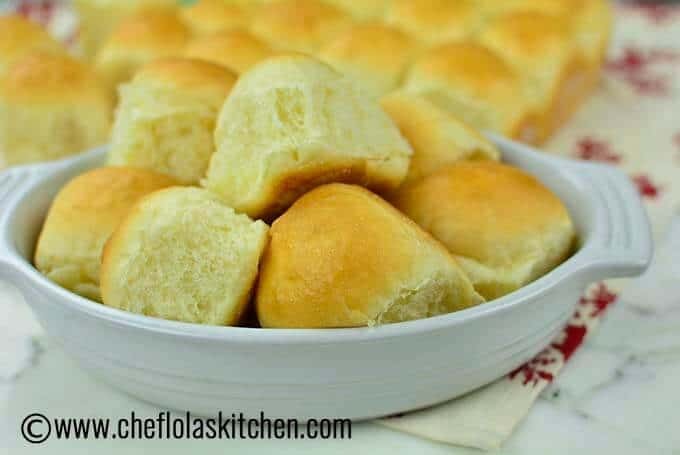 This quick, soft no-knead dinner rolls can be eaten as breakfast or coffee time treats, brunch, a perfect snack between lunch and dinner, it also makes a good mealtime accompaniment. What’s better than a freshly baked piping hot bread? The smell while it’s baking, the yummy goodness of warm buttered bread, the tasty delights when dipping, the crunchy texture when toasted, the golden medley of a melted sandwich. Do you now feel in the mood for baking of Bread? 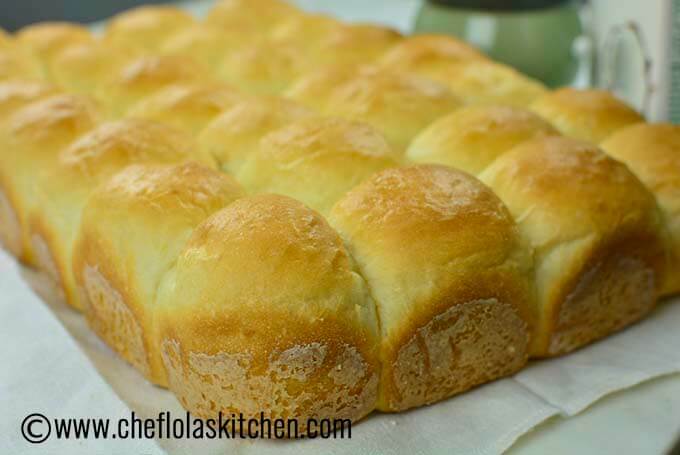 You can also try this No knead crusty French bread, Sweet White Bread, or Fresh Dinner Rolls. Happy Baking! 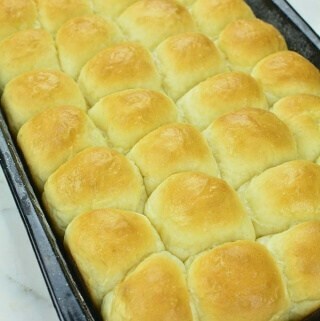 No-knead Bread Rolls: Nothing whets the appetite like the enticing smell of a Yeast Bread baking in the Oven. It also delivers a quintessential home-baking experience. Proof the yeast by mixing the Yeast and sugar with the warm water and leave it for about 5 minutes until it froths. (The temperature of the water should be between 95° F and 115° F). Crack in the Eggs and add the melted butter inside the inside the proofed yeast. Whisk together and set aside. Cover the dough with a lid or a plastic wrap and leave in a warm place to rise for 11/2 hours. Bake in a 350°F degrees preheated oven for 15 to 18 minutes. Brush the surface once again with some margarine to give it a soft crust. Allow to cool for few minutes before serving – if you can wait :). Enjoy! If you are using whole Milk, you will use 1-1/2 cups of whole milk. Simply proof the Yeast in warm Milk and all the other steps remain the same. If you are using instant yeast, you may skip the proofing process as long as you are sure the yeast is active. The Dough that is formed will be very wet and sticky don’t be tempted to add more flour. A dense dough will not work for this recipe. 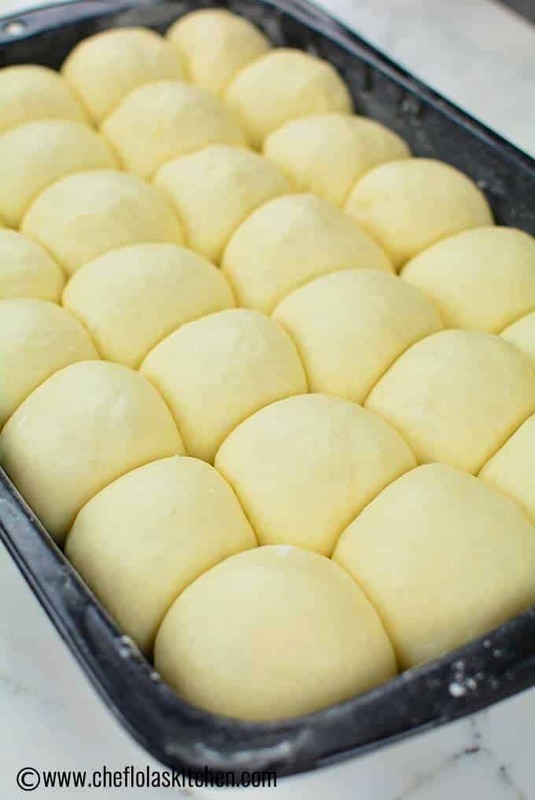 You can form your rolls in a couple of ways: I like to just cut out the size I need per time and tightly roll it into a ball; You can also turn the dough to a well-floured surface and cut out the number of rolls you want and begin to shape each into balls. Brush the surface of the dough with some melted butter or Egg wash (1Egg + 2 Tbsp water whisked together). This will enable the Bread rolls to come out golden brown once it’s baked. I made 24 mini rolls in a 15 by 10 baking pan but this will make 12 regular rolls in a 13 by 9 baking pan. 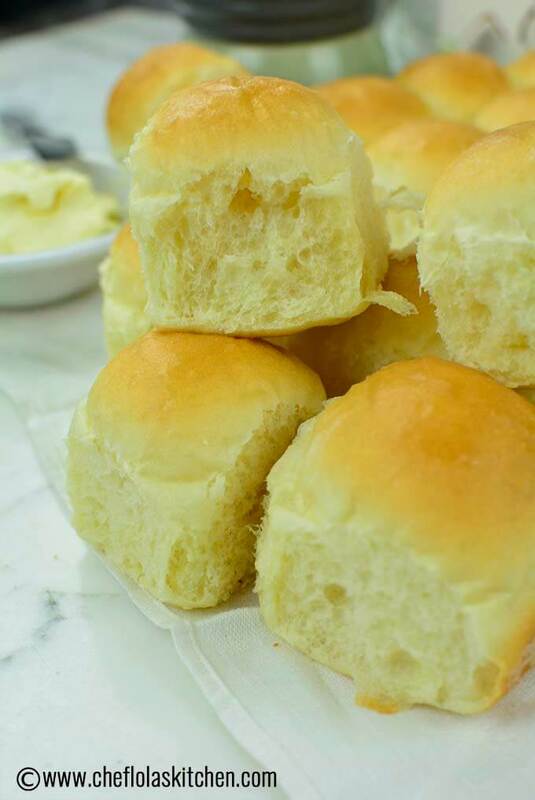 Brush the surface of the rolls with butter to soften the crust. Woah! That is really a big hit!! 🙌 … Thanks, Kristi for the amazing feedback. That’s so great to hear!!! This recipe is good as is if you’re using it as pairing with something else but since I am craving for some cheesy bread and didn’t wanna knead, I added some cheese in the middle(I used 1tbsp grated cheddar, definitely needs more and I think cut up block cheese would work best than grated) and sprinkled some on top after brushing with butter instead of margarine (this created a crunchy crust that you will love) I cut the recipe in half, I made 12 rolls. Wow! This is good to hear Melisa. The addition of cheese seems like a good idea to me. I like the way you tweaked it to suit you – that’s so creative. Thanks for the awesome feedback. Please after making how long can it stay? Should i refrigerate them, or just leave out? 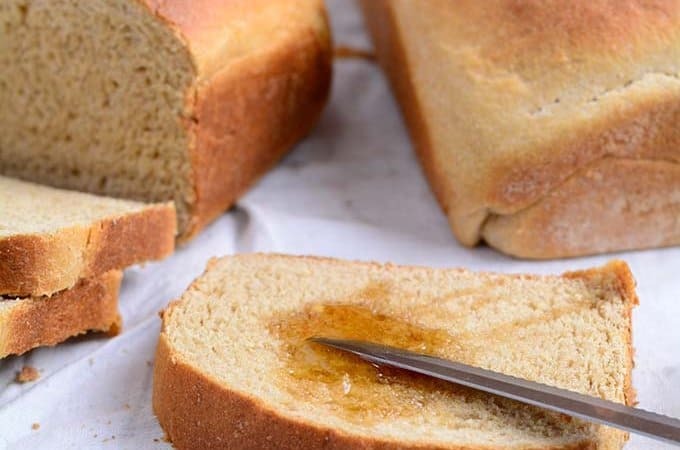 Lovely recipe, please how long can the bread last after? Should i refrigerate them after making or leave out? Hi Zainab, you don’t need to refrigerate them, it will make the bread stale faster. I will suggest you freeze any left over the same day you make them. Thaw and microwave or warm in the oven when you are ready to eat them. Do I follow the same process of activating the yeast with Instant Yeast? If it’s instant yeast and you are sure it’s active, you don’t need to proof it. 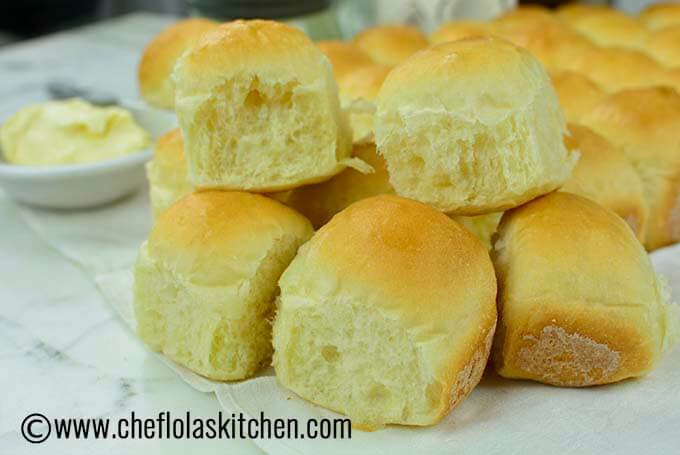 Can the rolls be made then put in fridge to rise slowly and baked in the am ? Yes, Bridget, you can, but make sure you allow it to come to room temperature before rolling it. All other process remains the same. Hi, I have a query on the amount of flour used – I thought 1 cup of flour is around 130g? Why is it that 4.5cups of flour is only 250g? Can I skip the sugar which you have added in the flour (4 tbsp sugar)? How many cups of milk can I use instead of the powdered milk ? I tried the recipe today and I came out perfect. Everybody loved it, I’ll definitely b trying it out again. Thank you, you are the best. 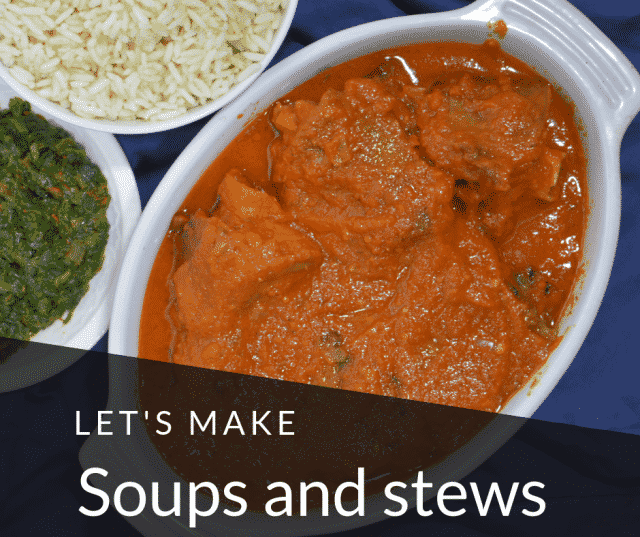 Thanks for this recipe ma…Please what’s the equivalent of 4 and half cup of flour in kilograms? And can I use normal baking flour in place of bread flour? Hi princess, 41/2cups is 250g… Yes, you can use plain flour. If I use whole milk instead of powdered milk, do I omit the water if I proof the yeast with warm milk? And how much warm milk do I need to use to proof the yeast? Thanks for the recipe and will try it after your reply. Yes, you will need to omit the water…you will need 11/2 Cups of warm Milk. Please what’s the measurement for milk .I’m using whole milk not powdered. Is it still 1 and a half cups? Yes Tito, It’s still 11/2 cups. Thank you so much chef Lola for this wonderful receipe. I found it yesterday while at the office. immediately I got home I tried it out . It was great. I loved it. Hello Lola. I’ve tried most of your recipes and they have come out great each time. Just tried your sausage bread rolls 2 days ago and it was really good. My question is the substitution of powdered milk for whole milk. Is it that i use 11/2 cups of milk instead of water to proof the yeast? Yes Tee, you will need to use 11/2 cups of Milk. OH WOW, Cher!. I’m so thrilled you enjoyed this so much. Baking is an art that gets mastered with constant practice. I’m glad you did not give up on your first trial… Yes, go get the pans it’s time to start baking!!! Good morning! 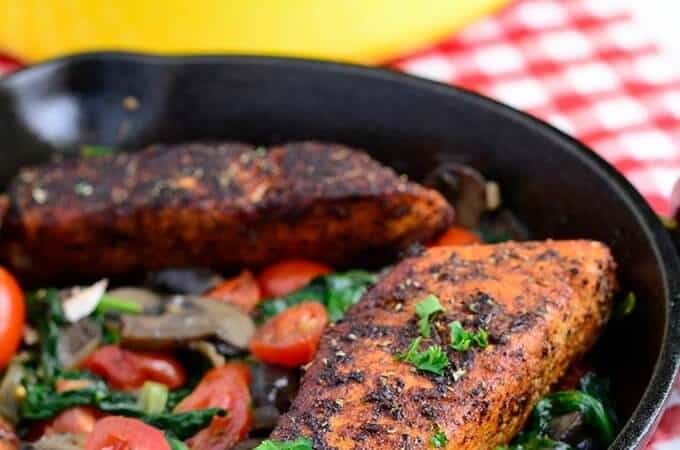 I will be using whole milk for this recipe, Do I use a cup and a half of milk? hi there, can i use baking powder instead of yeast? my yeast didn’t froth like yours so i abandoned making it. Could it be the water was too hot? Good day, plz I want to know if I can use all purpose flour for the no knead dinner rolls. Thanks. I want to know the cup you used in measuring the flour, is it tin milk. Also, the water measurements. What kind of cup did you use, Can I get the kilogram equivalent. Thanks, nice job. 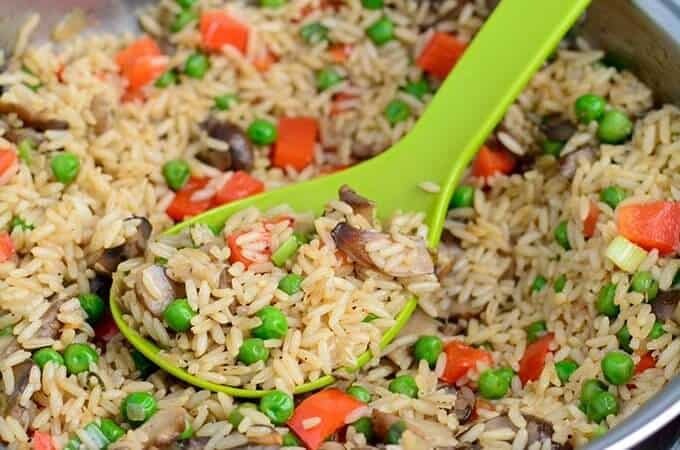 I use the standard American measuring cup for all my recipes but you can also click on the type of measuring unit you want in the recipe box.